Education.com is a website for parents with a mission of making learning fun for families. There are more than 6 million parents a month that rely on them to provide ideas that help them sneak in some learning while spending quality time together. 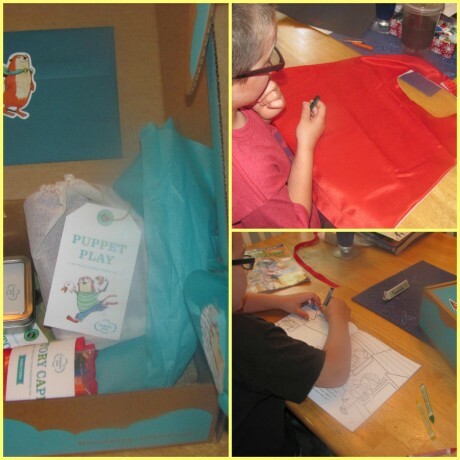 Now, they are bringing those ideas to life with their newest product called Wonder Box. Lately I have seen a lot of different craft subscription services. You know the ones, you get a box of everything you need for different crafts delivered to your door once a month. I admit, I have been interested but I have not tried one yet. Then I heard about Wonder Box and I was very intrigued. What sets Wonder Box apart from other craft subscription services is they actually combine learning with fun. So not only is your child having fun, creating, they are also learning more about why things work the way they do. What exactly is Wonder Box? A box a month for curious kids 3 to 6. Three handpicked projects + all supplies. Monthly themes: crafts, science & more. Basically Wonder Box is the thing that has propelled me from plain old mom into mom of the year! Designed for kids ages 3 to 6, Wonder Box is full of everything you will need to get your kids creating and learning while having the time of their lives. The ‘Once Upon a Time’ Box is full of things to get your child’s imagination going a mile a minute. We were able to design our very own cape with fabric crayons, build our own hand puppet, and make up crazy stories using the hand illustrated story cards. Have no fear, if story time is not your thing, Wonder Box has you covered with their science themed box. This box was our favorite and a huge hit here! We got to make an I-Spy bottle, play a colorful game of Bingo, match shapes, explore with a giant magnet and we even made Bubble Bread. Measuring. Mixing. Kneading. 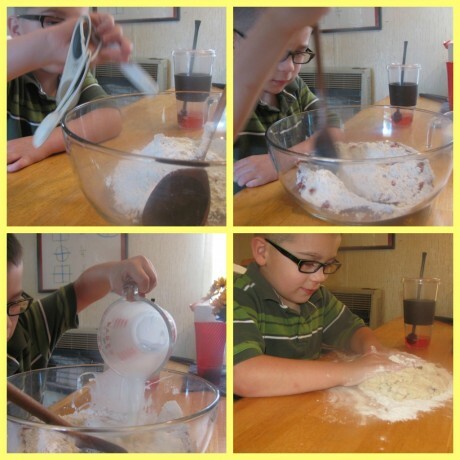 Genghis was able to do it all and watching the vinegar and baking soda react and form millions of bubbles was the most fun he has had all week. The icing on the cake is we got to eat our experiment. What will your child learn with Wonder Box? Sorting & Patterning: Matching, sorting, categorizing & patterning are critical skills for learning kindergarten math and understanding our world. Color Exploration: Exploring colors provides young kids with one of their first experiences in “guess and test” methodology. Mixing colors and watching cause and effect, then being able to communicate what they’ve found, lays the groundwork for early science, as well as blossoming communication skills. Fine Motor Skills: Being able to cut, draw a circle, or craft with clay aren’t just important art skills. Kids also build the muscles and coordination they’ll need to start writing. Gross motor skills: Hopping, jumping, running, and catching a ball help build strong bodies and strong minds. Reading readiness: Being able to put pieces of a story together in a logical order and being able to identify the main parts of a read-aloud story are important building blocks in learning to read. Starting science: As kids become more aware of the world around them, it’s important for them to start thinking about how things work. Through simple (and safe) experiments, we’ll set the foundation for a lifetime of scientific exploration. I cannot find enough good things to say about Wonder Box. Genghis was entertained and even learned lots of new things. Did you know an octopus has 3 hearts? And I was thrilled that not only was he having fun but he was learning. Want to try Wonder Box for yourself? Use code YellowTEN to save $10 off your first box. Win it! One lucky reader will win a Wonder Box to try out with their child. Use this simple Rafflecopter form to enter.